Chapin attended Kinhaven for five years in the 1960s, mostly on French horn but also viola, trombone, and recorder; on the board in the role of recent Kinhaven graduate (’73-’75); and on the activities staff (’74). After leaving Kinhaven, he joined the Vermont Symphony Orchestra, playing French horn there until 1992. He is now a member of the VSO chorus, founded by the late great choral composer and director Robert de Cormier. Chapin leads a busy life fulfilling his post‐retirement commitments “to do something with kids, do something civic, and do something for seniors.” For the kids, he volunteers in Four Winds science programs, helps with band lessons at the Williston Central School, demos recorders and brass instruments for students considering taking up these instruments, and does some substitute teaching in middle and high school. On the civic front, he is the board chair of Green Mountain Transit, the $20 million, 200‐employee public transportation system that covers the northwest region of state. These things and music making have not yet allowed time for his third retirement goal of driving for Meals on Wheels. Chapin is also busy when it comes to his first passion, music. 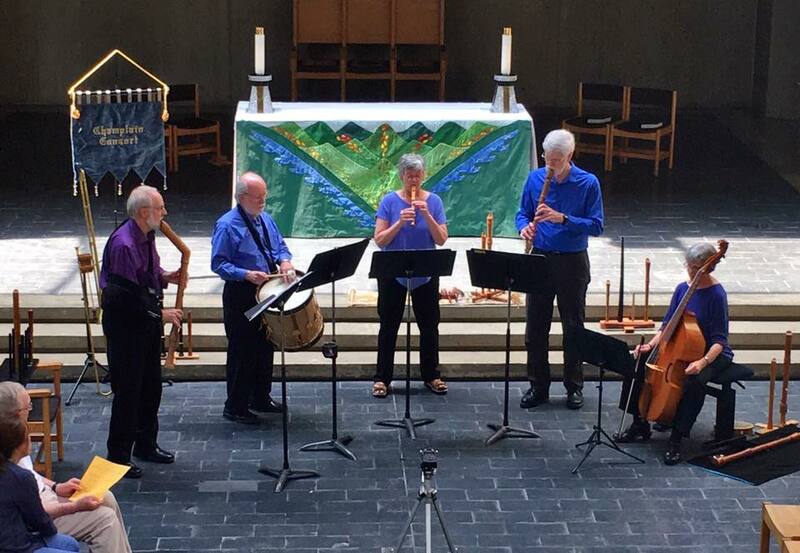 In addition to VSO chorus, he is a member of Champlain Consort, which plays Renaissance and Elizabethan music on period instruments, especially recorders and sackbuts (Renaissance trombones). He also plays euphonium in the Green Mountain Brass Band (a British‐style brass band) and in the Williston town band, which he also conducts on occasion. Chapin stays in touch with several Kinhavenites, including Priscilla Douglas (trumpet faculty ’75 ‐’76), Peter Reit (Horn ’74‐’75), Nate Reit (Tuba ’97‐’00, Trombone ’02‐’05, Staff ’06‐’14), Laura Markowitz (violin faculty ’85‐’86), and Miriam French (violin ’60‐’62). “We share a common bond and a common experience,” he says, remarking on the miraculous combination of rigorous quality and non‐competitiveness that Kinhaven fosters.